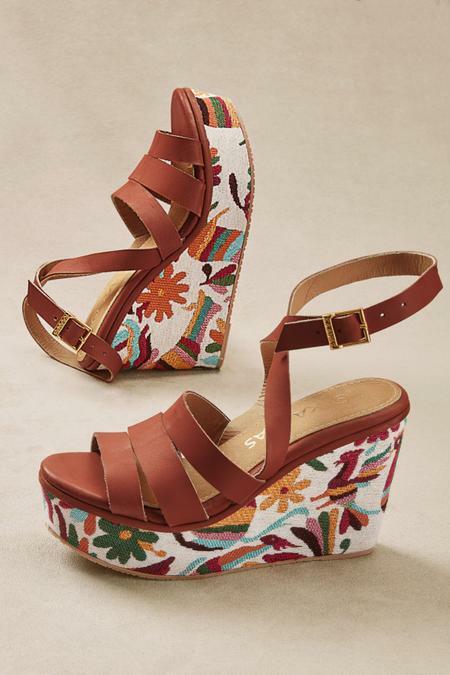 Colorful flora and fauna dance across these creamy wedges. A trio of nubuck leather straps across the toes and a crisscross buckle around the ankle keep them grounded. Leather. 4" heel, 1-1/2" toe platform.